The custom USB drive in a shape of a key, original ! A 100% metal surface and the shape of a key. 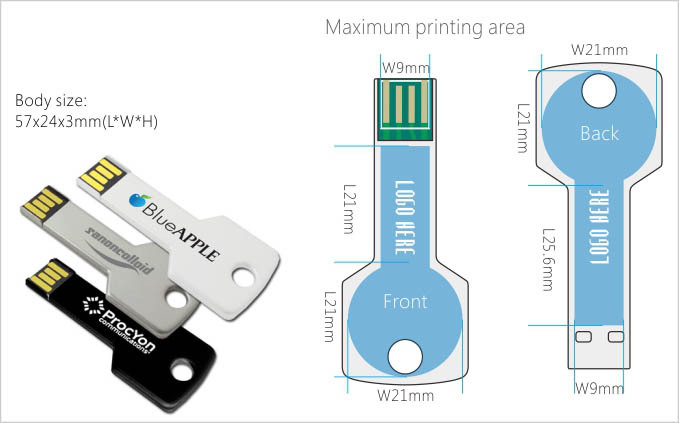 A laser printing of your logo is applicated on the body which makes of this custom USB flash drive a strong and unique promotional item. Its hole allows you to get it attached too a key ring and bring your USB stick everywhere.